"I said, 'Utah Jazz,' and she started crying." 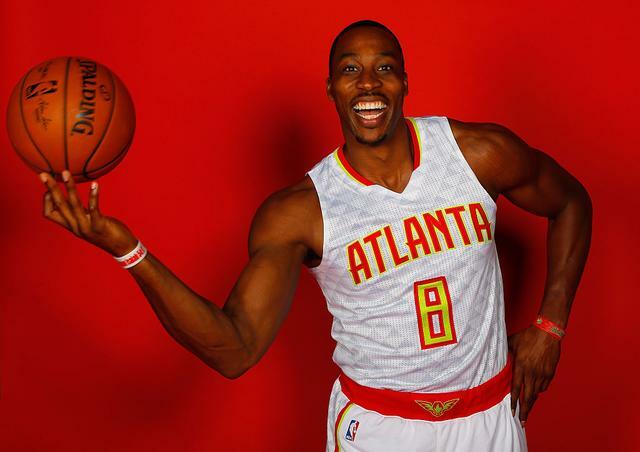 Dwight Howard inked a three-year $70.5 million deal this offseason to come home and play for his hometown team, the Atlanta Hawks which is something his mother had been dreaming of. "I played a prank on my mom," Howard told Doug Gottlieb. "I wanted to see her reaction, so I told her, I said, 'Mom, I just got this big contract, $150 million.' And she was like, 'Oh my God, from who?' I said, 'Utah Jazz,' and she started crying. And I said, 'Mom, sorry, I was just joking, I'm coming home to Atlanta.' And then she was super happy and my family was super excited." It's worth noting, the Jazz are a solid squad that could make the playoffs in the Western Conference this season but all that mothers like Sherryl care about is having their baby boy close to home. And things are working out well for Howard in ATL thus far, as he has the Hawks out to an 8-2 record while averaging 15 & 12 with nearly two blocks per game. Frank Ocean On The "Dated" Grammys: “I’d Rather This Be My Colin Kaepernick Moment Than Sit There In The Audience"